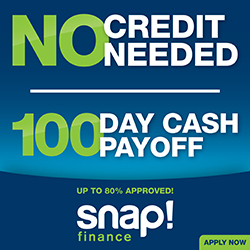 Available for Cars, Trucks, Jeeps, and SUVs. A Humvee undergoing an LBZ Duramax conversion at Gas Pedal Customs. 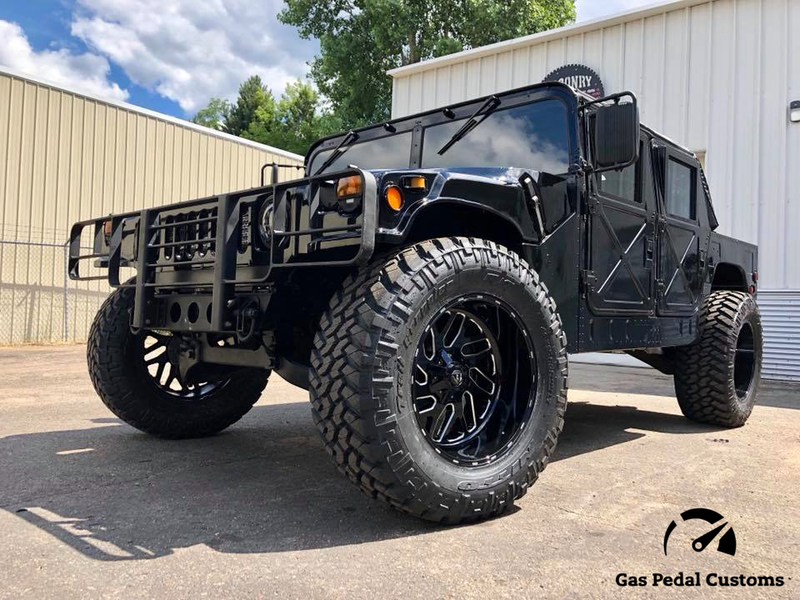 Humvee complete with a Gas Pedal Customs RACE Package. 6.4L Hemi Jeep with King shocks, Teraflex 6” long arm suspension, and EBC brakes. Jeep Wrangler Unlimited Rubicon complete with a Gas Pedal Customs RACE Package. 2018 Chevy Suburban with a 6.6L Duramax conversion. 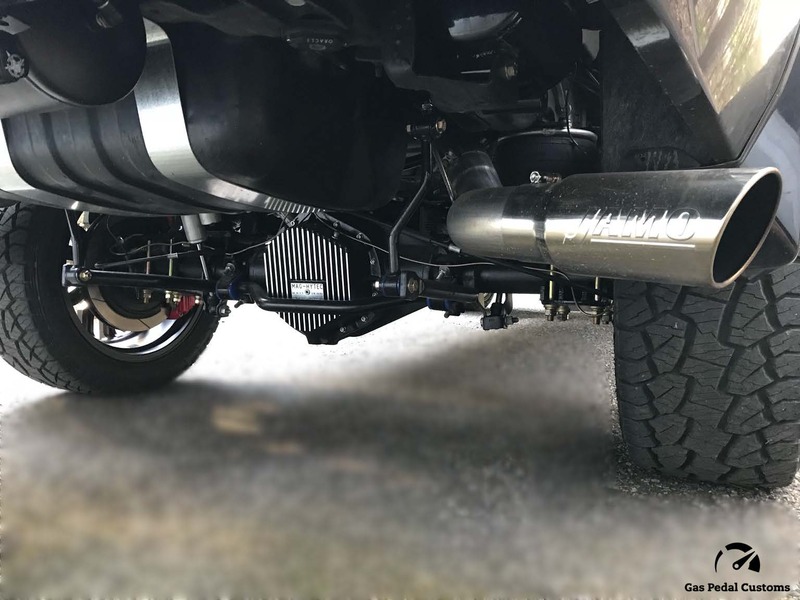 Exhaust System: JAMO Performance Exhaust. 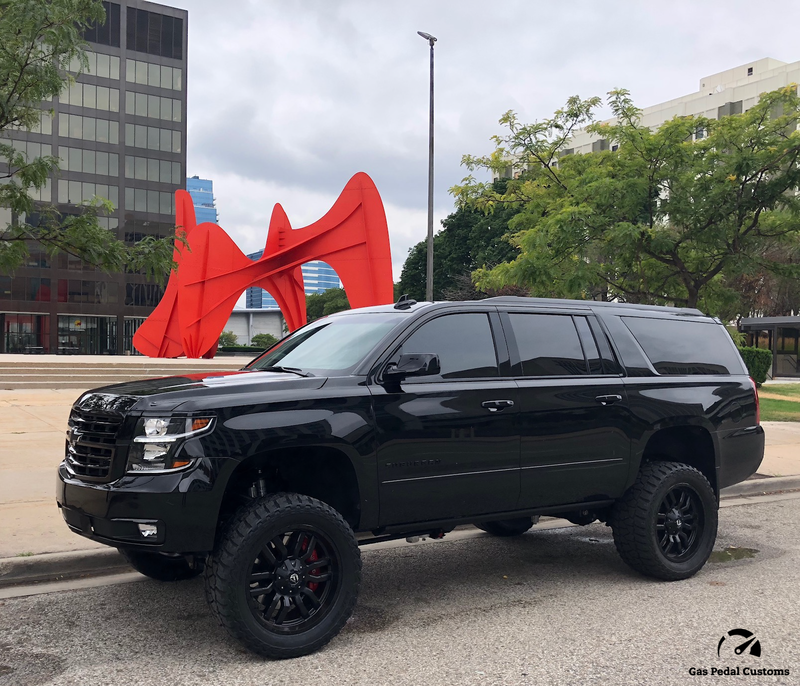 2018 Chevy Suburban (LML Duramax) complete with a Gas Pedal Customs RACE Package. RACE Packages. 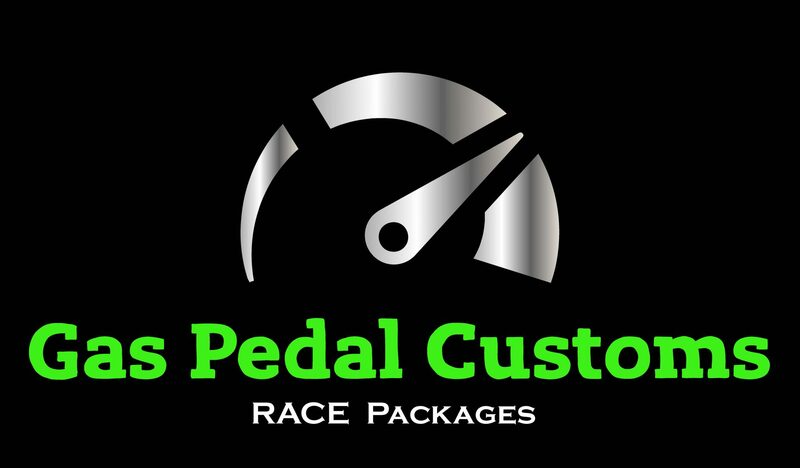 It’s more than what’s under the hood– RACE Packages by Gas Pedal Customs are a complete solution for automotive enthusiasts with a need for speed. Gas or diesel engine conversions, superchargers, and custom tunes are just the beginning. Make your vehicle yours with suspension upgrades, custom exterior accents, interior upgrades, LED lights, and custom painted wheels. Give Gas Pedal Customs a call today at 616-920-7976, or send us an email at sales@gaspedalcustoms.com. We would love to get started on your RACE project! 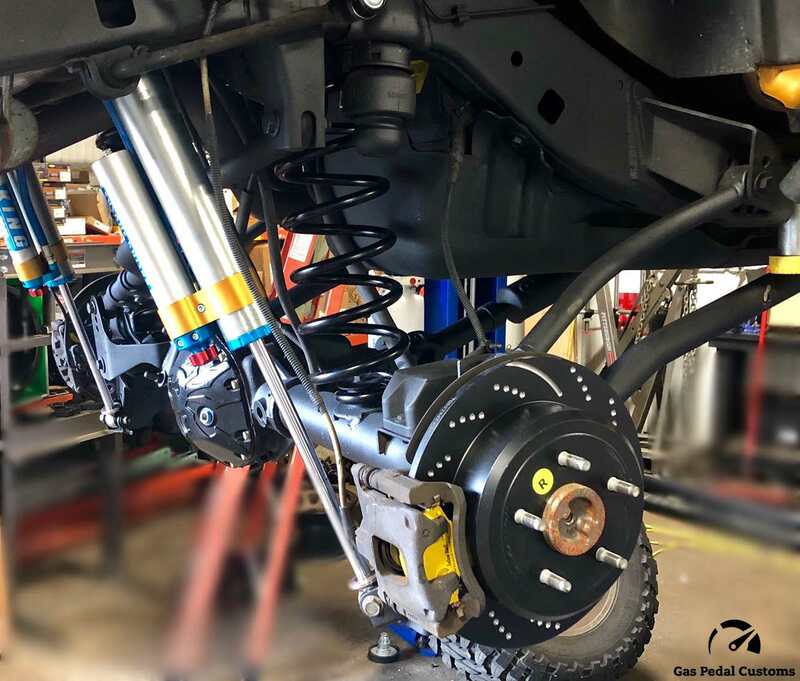 Stay connected with Gas Pedal Customs. Follow us on Facebook, Instagram, and Pinterest!